Each year for April Fools’, rather than a prank, we like to create a project that explores the way that humans interact at large scales. 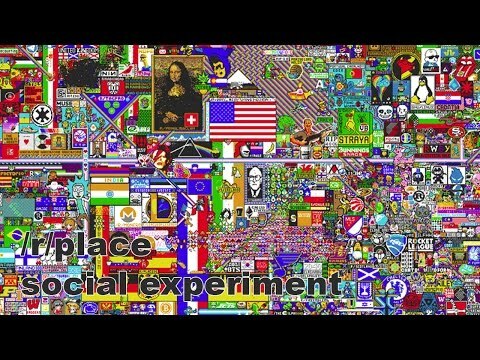 This year we came up with Place, a collaborative canvas on which a single user could only place a single tile every five minutes. This limitation de-emphasized the importance of the individual and necessitated the collaboration of many users in order to achieve complex creations. Each tile placed was relayed to observers in real-time. This post details how we approached building Place from a technical perspective. The 72h timelapse – condensed to 4’30 – is embedded above. The source code of r/Place is also available.